While the news of HBO’s hack was revealed a few days ago, the company is still determining the full extent of information stolen from them. Well, that’s not even the full extent of their problems. 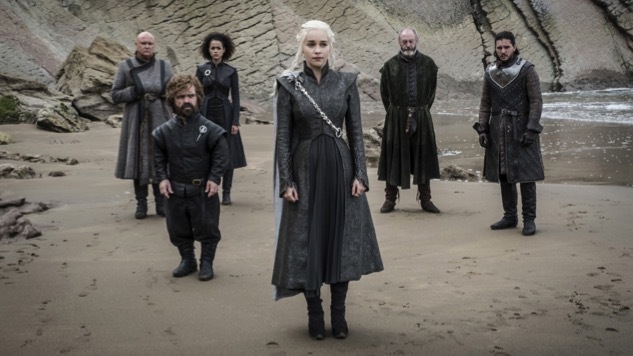 The Verge reports that the entire fourth episode of the popular program, titled “The Spoils of War,” has been released online in a low-quality format. The leaked episode comes via Google Drive postings in a Reddit thread and includes a “for internal viewing only” watermark. It’s starting to look like HBO may need to build their own version of The Wall to combat all these leakers and hackers. They’ll make the White Walkers pay for it. This should go without saying, but don’t watch the episode. If we ever want to continue getting high-quality, well-made content in the future, we need to stop stealing it all the time.